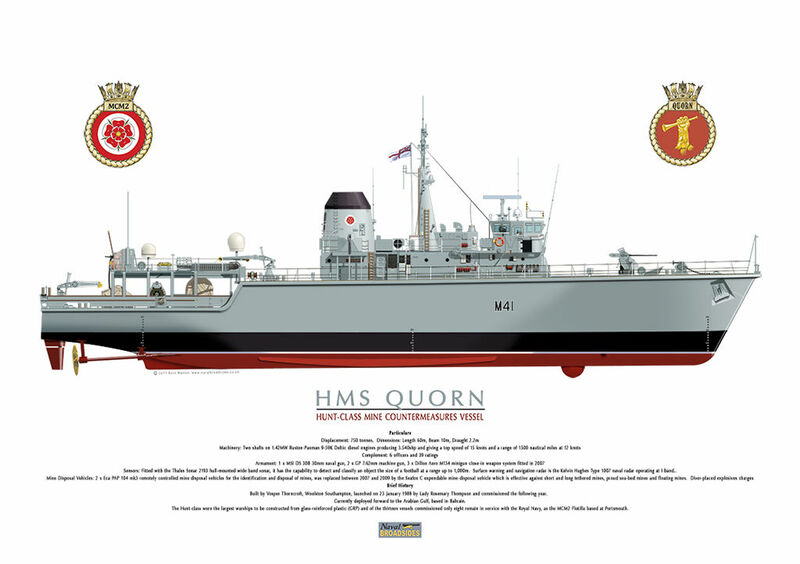 HMS Quorn was built by Vosper Thorncroft, Woolston Southampton, launched on 23 January 1988 by Lady Rosemary Thompson and commissioned the following year. Often deployed forward to the Arabian Gulf, based in Bahrain. The Hunt-class were the largest warships to be constructed from glass-reinforced plastic (GRP) and of the thirteen vessels commissioned only eight remain in service with the Royal Navy, as the MCM2 Flotilla based at Portsmouth.